It is important to know that our scientific knowledge of the B vitamin folate has undergone significant changes in the last 10 years based upon some amazing research studies. We have come to understand that the biologically active and naturally ocurring folate forms of L-5-methyltetrahydofolate (5-MTHF) and 5-formyltetrahydrofolate (folinic acid) are significantly more effective than folic acid, which is a synthetic oxidized form of folate. For many years (at least since the 1940s), the only form of folate used in supplements and fortified foods was folic acid. However, a significant body of research has shown that supplemental folic acid may actually accelerate cognitive decline in some older individuals. Folic acid also is being linked to increased risk of colon and rectal cancers, increased risk of childhood asthma born to folic-acid supplemented mothers, and accelerated growth of pre-existing tumors. Many studies have indicated that a large portion of the population (about 50%) have genetic deficiencies in the enzymes (such as MTHFR) that do not allow the body to properly metabolize folic acid into coenzyme forms needed for proper body function. Unfortunately, journalists and even many medical professionals haven’t understood that folic acid is not the same as the naturally occurring vitamin folate. Even today, much of the medical mainstream use the terms “folic acid” and “folate” interchangeably. Yet, folic acid is not the same as folate! The good news is that the folate coenzymes of 5-MTHF and Folinic Acid are now readily available for use in nutritional supplements and are being incorporated into products by knowledgeable companies. Folate is a water-soluble B vitamin that is naturally present in foods. Folates are commonly consumed through a diet of green leafy vegetables, sprouts, fruits, brewer’s yeast, animal products such as milk and dairy products, egg yolk, and liver. Formerly known as “folacin,” folate is the generic term for both naturally occurring food folate and folic acid. 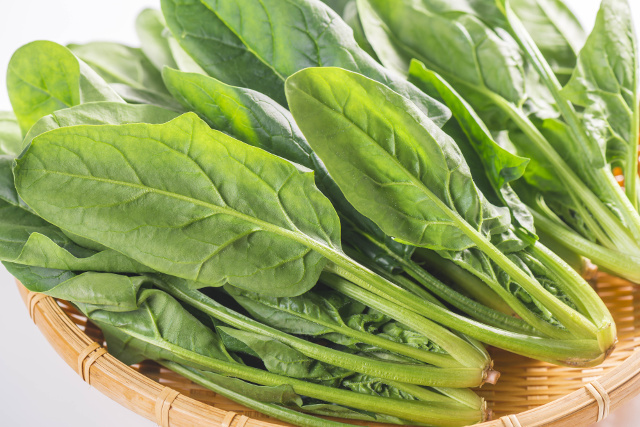 Spinach and other green leafy vegetables provide naturally occurring folate. When consumed, food folates are often hydrolyzed to the monoglutamate form in the gut prior to absorption by active transport across the intestinal mucosa. Passive diffusion also occurs when pharmacological doses of folic acid are consumed. Before entering the bloodstream, the monoglutamate form is reduced to tetrahydrofolate (THF) and converted to either methyl or formyl forms. However, both of the metabolically active (coenzyme) forms 5-methyl tetrahydrofolate (5-MTHF) and 5-formyl tetrahydrofolate (also known as folinic acid) are found in foods and can enter the cells with no further modification. Unfortunately folates contained in foods are unstable and susceptible to oxidation; they rapidly lose activity during food processing, manufacturing and storage and have a bioavailability range of 25–50%, depending on the kind of food. Fresh leafy vegetables stored at room temperature may lose up to 70% of their folate activity within three days and a cooking process in water can increase the loss to 95%. Humans cannot synthesize folate and because of its water soluble nature, the body stores folate to a limited extent. For this reason folate represents a dietary requirement and must be consumed by diet. Folate deficiency represents one of the most common nutritional deficiencies and may occur when dietary intake is inadequate, when an increased need is not matched by an increased intake (particular physiological conditions such as pregnancy, lactation, child growth), when there is altered absorption/excretion (or losses) and when metabolism or drug use interferes with the ability of the body to use folate. Several conditions can lead to nutritional folate deficiency. These not only include enzyme defects, malabsorption, digestive system pathology, and liver disease, but also conditions with a high rate of cell turnover such as rapid tissue growth (infants, kids and adolescents), and pregnancy and lactation. In severe cases deficiency can cause many clinical abnormalities, including macrocytic anemia, cardiovascular diseases, birth neural tube defects (NTDs) and carcinogenesis. Folate deficiency is associated with elevated levels of homocysteine, cerebrovascular and neurological diseases, and mood disorders. 1) Formation of purines and pyrimidines, which in turn are needed for synthesis of the nucleic acids DNA and RNA. This is especially important during fetal development in the first trimester in preventing birth defects, such as neural tube defects. 5) Formation of the amino acid methionine from homocysteine (Vitamin B12 as methylcobalamin also is needed for this conversion). Elevated levels of homocysteine have been implicated in a wide range of health disorders including atherosclerosis, osteoporosis, Alzheimer’s disease, and depression. In the reconversion of homocysteine to methionine the body uses the methionine to make the important amino acid s-adenosylmethionine (SAMe) which is known to be helpful in cases of depression. Numerous drugs are known to inhibit the body’s ability to utilize folate, including: 1) aspirin, 2) cholesterol lowering drugs, 3) oral birth control pills, 4) antacids, and 5) methotrexate when used for rheumatoid arthritis. When taking these drugs (and many others) it is recommended that you take at least 800 mcg daily of folate, preferably as 5-MTHF and folinic acid. When taking folate it is recommended that you take adequate amounts of Vitamin B12 as methylcobalamin. The figure (1.1) shown below provides an overview of how the three forms of folate we will be discussing are metabolized in the cell. Basically the diagram shows that there are two major uses of folate in the body 1) Those dealing with methylation reactions and 2) those dealing with nucleotide biosynthesis, e.g., the production of DNA and RNA. On the bottom left the diagram shows that 5-MTHF can directly enter the cell and be used for methylation reactions such as the conversion of homocysteine into methionine. On the bottom right the diagram shows that 5-formyl tetrahydrofolate (folinic acid) can directly enter the cell and be used for nucleotide biosynthesis after a few enzymatic conversions. The top of the diagram shows that folic acid can enter the cell, but must go through a series of enzymatic conversions in order to accomplish what 5-MTHF and folinic acid can accomplish. The box in the lower middle of the diagram indicates where the MTHFR enzyme (see the line with the #5) deficiency can block the metabolism of folic acid. The diagram shows that all of the important reactions can be accomplished by either 5-MTHF or folinic acid as they can be converted to one another by a series of enzymatic reactions. An important study (see abstract below) has indicated that at least in some cases the presence of a MTHFR enzyme deficiency does not impede the conversion of folinic acid into 5-MTHF. 1.1. Diagram of Folate Metabolism from Vitamin Analysis for the Health & Food Sciences by Ronald R. Eitenmiller and W.O. Lander, Jr.
FOLIC ACID: Once isolated and exposed to air natural folates in food becomes unstable and breaks down, and are generally no longer useful in nutrition. But a small amount of natural folate can be transformed by oxidation (a natural process) into folic acid, a much more stable form with a very long shelf life. While human and animal cells cannot use the folic acid molecule itself in their normal metabolic processes, human cells (principally the liver) can transform folic acid back into many of its metabolically useful folate forms. That is why folic acid—despite not being found in food—can do so much nutritional good. The best-known example is the prevention of birth defects including spina bifida, cleft lip, and cleft palate. As we age, however, our bodies become increasingly slower at transforming folic acid into usefully metabolized folates. That’s probably the reason scientists are finding that folic acid (not folate) is associated with cognitive decline in the elderly. Some of these studies have shown significantly elevated levels of unmetabolized (and therefore not useful) folic acid building up in the bloodstreams of supplemented older individuals. In addition to worsening folic acid metabolism with age, there are also a significant number (as high as 45 percent or more in some populations) of survivable human genetic defects of folate metabolism (MTHFR deficiency) which make it more difficult or, in some circumstances, impossible for sufferers to make metabolic use of folic acid. We believe it is time to make folic acid supplements a part of history, and use only forms of naturally occurring folate when we use supplements. Although my company produces a liquid folic acid supplement that has been especially useful for some pregnant women who are experiencing gum problems, we have been incorporating the coenzyme form Folinic Acid into supplements for over 10 years, and recently introduced the metabolically active form L-5-MTHF. A small amount of folic acid (100–200 micrograms, the amount found in many multiple vitamins at present) is not likely to be a major problem for most people. However, more taken daily for years just might raise your long-term risk of colorectal cancer, cognitive decline, or other symptoms of elevated levels of homocysteine. If higher amounts are unavoidable (for example, until all prenatal vitamins switch from folic acid to folate), taking additional folate as 5-MTHF and Folinic Acid will very likely offset the folic acid still found in the multiple. In this regard, I have over the last five years eliminated folic acid from all of the multivitamins and B-Complex vitamins that we now make available. FOLINIC ACID: Also known as 5-formyl tetrahydrofolate, it is one active form in a group of vitamins known as folates. In contrast to folic acid, a synthetic form of folate, folinic acid is one of the forms of folate found naturally in foods. In the body folinic acid may be converted into any of the other active forms of folate. Compared to folic acid, folinic acid is expensive costing about 100 times more. However, the fact that the body only requires small amounts (less than one mg) means that one can obtain a two month supply of folinic acid for less than $10. Folinic acid has been available as a supplement for more than 10 years and as such has been the form most used as a replacement for folic acid. 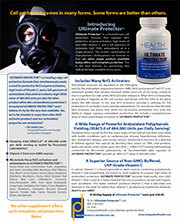 5-MTHF: Also known as L-5-methyl tetrahydrofolate, it has been difficult to obtain until recently. An Italian company has made a patented form available (Quatrefolic®) that is combined with a vegetarian glucosamine. This form is particularly stable and highly bioavailable. 5-MTHF costs about 400 times more than folic acid. However, because the body requires less than one milligram (1 mg) on a daily basis, a person can buy a two-month supply for about $20. 5-MTHF is now readily available on the market, thereby making it possible to purchase at reasonable prices both coenzyme forms of folate. As we noted, the importance of natural coenzyme forms of folate is highlighted by the large number of people who cannot convert folic acid to folate usable in the body because they lack the enzymes necessary to make this conversion due to genetics, aging, or faulty metabolism. For the nearly half of all persons (in some populations) having the functional variation (i.e., mutation) on the MTHFR gene resulting in MTHFR deficiency makes them unable to convert folic acid to a folate form like 5-MTHF that usable by cells. This not only means that their bodies have problems processing B-group vitamins, but also can mean they suffer significant deficiencies (as well as elevated blood folate). Folate deficiencies can lead to anxiety and panic attacks. Moreover, they can lead to other mood issues, miscarriages, as well as vascular conditions. Recall that elevated levels of homocysteine are associated with folate deficiency. Another area of interest is research indicating that up to 20% of individuals who carry the MTHFR gene experience migraine headaches. The effectiveness of natural folates for migraine headaches in persons with MTHFR deficiency is becoming more widely known. Here is a TEDx talk by Prof. Lyn Griffiths from the Griffith Health Institute in Australia showing her work with MTHFR deficiency and migraine (https://www.youtube.com/watch?v=BOgbmF0jYd4). This aspect of her work is highlighted near the end of her talk. The use of natural folates to help individuals suffering from migraine headache is an area holding great promise. Folic acid is not the same as folate. Folic acid can present problems in persons lacking the enzymes necessary to convert it into usable forms. Folic acid can also build up in the body in potentially toxic ways. Supplementing with naturally occurring coenzyme folates, such as 5-MTHF and folinic acid makes sense given advances in our understanding of how the body utilizes dietary folates. HPDI incorporates natural folate forms into all of its multivitamins and folate products. Conversion of 5-formyltetrahydrofolic acid to 5-methyltetrahydrofolic acid is unimpaired in folate-adequate persons homozygous for the C677T mutation in the methylenetetrahydrofolate reductase gene. Methylenetetrahydrofolate reductase (MTHFR) catalyzes the synthesis of 5-methyltetrahydrofolic acid (5-CH(3)-H(4) folic acid), the methyl donor for the formation of methionine from homocysteine. A common C677T transition in the MTHFR gene results in a variant with a lower specific activity and a greater sensitivity to heat than the normal enzyme, as measured in vitro. This study was undertaken to determine the capacity of homozygotes for the MTHFR C677T transition to convert 5-formyltetrahydrofolic acid (5-HCO-H(4) folic acid) to 5-CH(3)-H(4) folic acid, a process that requires the action of MTHFR. Six subjects homozygous for the C677T transition (T/T) and 6 subjects with wild-type MTHFR (C/C) were given a 5-mg oral dose of (6R:,S:)-5-HCO-H(4) folic acid. Plasma and urine were analyzed for 5-CH(3)-H(4) folic acid concentrations using affinity/HPLC coupled with fluorescence or UV detection. The mean areas under the curves created by the rise and fall of plasma 5-CH(3)-H(4) folic acid after the oral dose did not differ between the two genotypes, 424.5 +/- 140.3 (T/T) vs. 424.1+/- 202.4 h.nmol/L (C/C). There also was no significant difference in the mean cumulative 7-h urinary excretion of 5-CH(3)-H(4) folic acid between the T/T (2.5 +/- 1.4 micromol) and C/C (1.9 +/- 1.0 micromol) genotypes. Under the conditions employed, the conversion of oral 5-HCO-H(4) folic acid to 5-CH(3)-H(4) folic acid is not impaired in persons with the T/T MTHFR genotype. Possible reasons for these findings are discussed. Folate, folic acid and 5-methyltetrahydrofolate are not the same thing. 1. Folate, an essential micronutrient, is a critical cofactor in one-carbon metabolism. Mammals cannot synthesize folate and depend on supplementation to maintain normal levels. Low folate status may be caused by low dietary intake, poor absorption of ingested folate and alteration of folate metabolism due to genetic defects or drug interactions. 2. Folate deficiency has been linked with an increased risk of neural tube defects, cardiovascular disease, cancer and cognitive dysfunction. Most countries have established recommended intakes of folate through folic acid supplements or fortified foods. External supplementation of folate may occur as folic acid, folinic acid or 5-methyltetrahydrofolate (5-MTHF). 3. Naturally occurring 5-MTHF has important advantages over synthetic folic acid – it is well absorbed even when gastrointestinal pH is altered and its bioavailability is not affected by metabolic defects. Using 5-MTHF instead of folic acid reduces the potential for masking haematological symptoms of vitamin B12 deficiency, reduces interactions with drugs that inhibit dihydrofolate reductase and overcomes metabolic defects caused by methylenetetrahydrofolate reductase polymorphism. Use of 5-MTHF also prevents the potential negative effects of unconverted folic acid in the peripheral circulation. 4. We review the evidence for the use of 5-MTHF in preventing folate deficiency. Is 5-methyltetrahydrofolate an alternative to folic acid for the prevention of neural tube defects? Women have higher requirements for folate during pregnancy. An optimal folate status must be achieved before conception and in the first trimester when the neural tube closes. Low maternal folate status is causally related to neural tube defects (NTDs). Many NTDs can be prevented by increasing maternal folate intake in the preconceptional period. Dietary folate is protective, but recommending increasing folate intake is ineffective on a population level particularly during periods of high demands. This is because the recommendations are often not followed or because the bioavailability of food folate is variable. Supplemental folate [folic acid (FA) or 5-methyltetrahydrofolate (5-methylTHF)] can effectively increase folate concentrations to the level that is considered to be protective. FA is a synthetic compound that has no biological functions unless it is reduced to dihydrofolate and tetrahydrofolate. Unmetabolized FA appears in the circulation at doses of >200 μg. Individuals show wide variations in their ability to reduce FA. Carriers of certain polymorphisms in genes related to folate metabolism or absorption can better benefit from 5-methylTHF instead of FA. 5-MethylTHF [also known as (6S)-5-methylTHF] is the predominant natural form that is readily available for transport and metabolism. In contrast to FA, 5-methylTHF has no tolerable upper intake level and does not mask vitamin B12 deficiency. Supplementation of the natural form, 5-methylTHF, is a better alternative to supplementation of FA, especially in countries not applying a fortification program. Supplemental 5-methylTHF can effectively improve folate biomarkers in young women in early pregnancy in order to prevent NTDs. 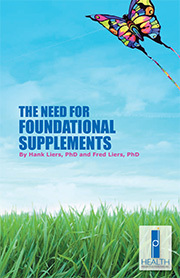 Dr. Hank Liers is the CEO and chief product formulator for Health Products Distributors, Inc. He has been studying and using natural means of achieving health since 1984. Dr. Liers received his PhD in physics in 1969 from the University of Minnesota and has applied his analytical abilities to learning and applying a scientific approach to nutrition. Fred Liers, PhD is Director of Corporate Communications for Health Products Distributors, Inc. (HPDI). He leads public relations, education, outreach, and marketing efforts. In addition, he writes for HPDI's website (www.IntegratedHealth.com) and blog (www.IntegratedHealthBlog.com), as well as supports HPDI's design of advanced nutritional supplement formulas. I am still confused and currently take folinic acid for MTHFR and the manufacturer ran out. can quatreactiv folate 4th generation 5-mthf be used as a substitute and if so do I take the same amount as I took of the colonic acid? Actually 5-MTHF 4th generation is probably better than folinic acid. It can directly enter the cells and participate in the remethylation of homocysteine to methionine. This by-passes the MTHFR enzyme deficiency. Folinic acid could do this, but needs to be converted to 5-MTHF in order to work. The amount to take depends upon the severity of your MTHFR enzyme variation (heterozygous or homozygous). I suggest daily 1 mg of 5-MTHF if you are heterozygous and about 3 mg if you are homozygous. Be sure to take B-12 as methylcobalamin (at least 1 mg daily) and about 10-20 mg daily of B-6 as pyridoxal-5’phosphate (P5P).